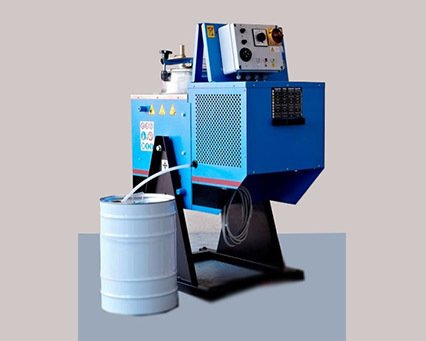 The solvent recycler series, mono block, is characterized by the tilting structure and the fixed tank. Particularly suitable for users that need to do solvent recycling from washings (solvent or water), contaminated by substances such as inks, oils, fats, resins or pigments. The Solvent Recyclers are characterized by the tank and boiler made of stainless steel and because of the large evaporation surfaces which allow a quick and safe distillation and hence solvent recycling. The use of heat-solvent-resistant bags allows operator to be never in direct contact with solvents and/or distillation residues. This special bag is resistant to high temperatures, up to 180°C and to chemical attack of the solvents. The use of the bag, keeps the bottom of the tank with no deposit ever, hence avoiding loss of time and difficulty for the operator. In addition it avoids damages to the distillation tank, which would not transmit the heat properly. These bags must be disposed of according to local laws, resulting with a significant reduction in costs arising from the repurchase and disposal of solvents. The electrical system can be supplied as ATEX EX II 3G suitable for installation in Zone 2, or ATEX EX II 2G (explosion proof for hazardous atmospheres) suitable for installation in Zone 1. 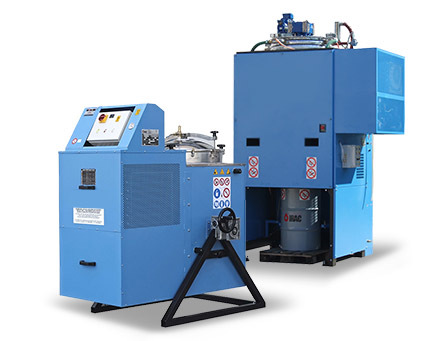 The Solvent Recyclers are reliable and safe because they have been designed and built with skill, in strict compliance with CE, ATEX, and undergo extensive safety testing for solvent recycling. 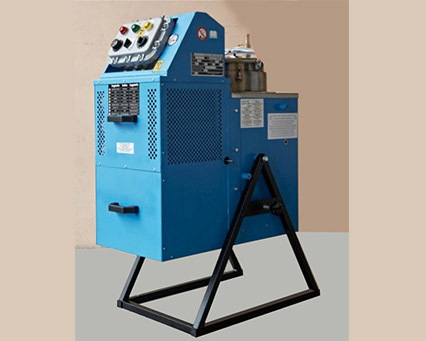 Batch solvent recycler models available for solvent recycling quantities of 15 liters up to 200 liters per batch. Automatic Systems available from 60 liters per hour output onwards.